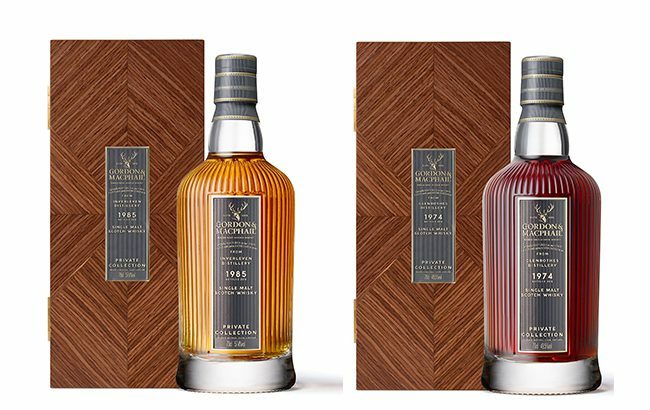 Gordon & MacPhail has added two new expressions to its redesigned Private Collection – a 33-year-old single malt from silent distillery Inverleven and a 44-year-old Glenrothes bottling. The new-look range is part of Gordon & MacPhail’s move to streamline its 14 ranges to five: Discovery, Distillery Labels, Connoisseurs Choice, Private Collection, and Generations. Private Collection is “for the whisky collector” and offers products with more premium cues. Both expressions have been redesigned with heavyweight bottles in veneered wooden boxes. The range includes an “ultra-rare” whisky from closed Lowland distillery Inverleven and a 44-year-old single malt distilled at Glenrothes Distillery. The single malt from Inverleven has been matured for 33 years before being bottled at a cask strength of 57.4% abv. The expression dates back to 1985 when Gordon & MacPhail sent a refill Bourbon barrel to the site. It has an RRP of £1,000 (US$1,310). The second release originates from 1974 when a refill Sherry puncheon was filled at Speyside site Glenrothes. Bottled at 49.5% abv, the whisky retails at £1,250 (US$1,638). The releases were selected by Stuart Urquhart, Gordon & MacPhail’s associate director of whisky supply and fourth generation family member. Gordon & MacPhail’s maturing stocks currently consists of casks from 26 closed, mothballed or demolished Scotch distilleries. Further releases from the range will be announced in the “coming months”. Stephen Rankin, Gordon & MacPhail’s director of prestige and member of the Urquhart family, said: “For over a century my family has been maturing whisky and using our skills, experience, and passion for single malts to recognise exactly the right moment to bottle a spirit that will be loved by discerning whisky drinkers around the globe.